As a partner and founding member of the Bee Informed Partnership (BIP) we work closely with specially trained Tech Team field agents and beekeepers around the country to conduct colony sampling for numerous apiaries. 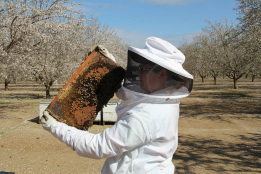 The beekeepers we work with range from small to large commercial apiaries and queen breeders. The collection of data we compile includes visual hive inspections to detect pests and pathogen symptoms. Afterward, samples are sent to the Maryland Honeybee Lab for further specimen analysis of Nosema and Varroa species. After analyzing the results at the Maryland Lab and generating the lab report, our tech team members then work with the beekeepers to resolve any problems that were detected during the inspection process. Through this protocol beekeepers are able to receive the most up to date information on the health of their colonies and react to any malignant conditions that may be affecting their apiaries.